Hi you, I’m Kader and I’m a 3D generalist. I have 2 years of film experience as a Junior Lighting TD. I’m proficient in Maya and Arnold rendering. I’m training myself in Substance suite and improve my work outcomes. This is my Hard Surface sketchbook You will see random things like props and buildings. I usually try to finish these projects in a week or a day, or even a few hours as I want to increase my speed and workflow efficiency than make a big scenes for now. 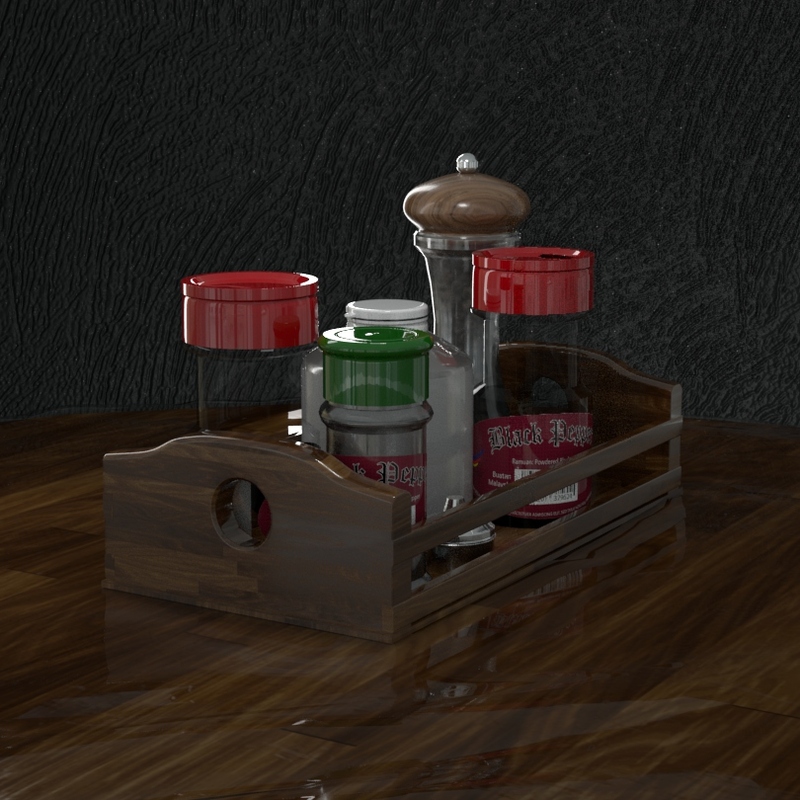 project1: Here’s a render of a Spice rack on my dining table at home. I’m having trouble rendering plastics without it looking very very oily. This scene was textured in Mudbox using projection images.